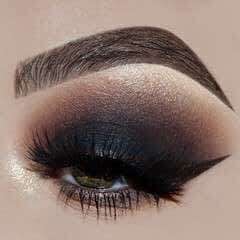 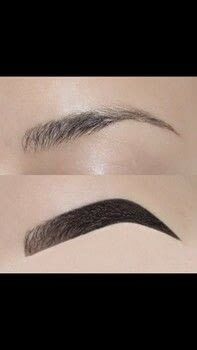 Using a very thing brow brush and a brow product (this should work with brow pomade or powder) draw a line along the bottom of your eyebrow. 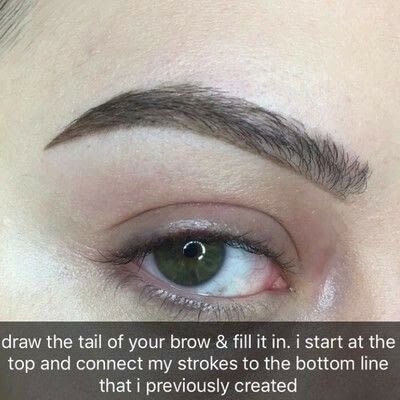 Draw the tail of your brown and fill it in. I like to start at the top and connect my strokes to the bottom line that I previously created. 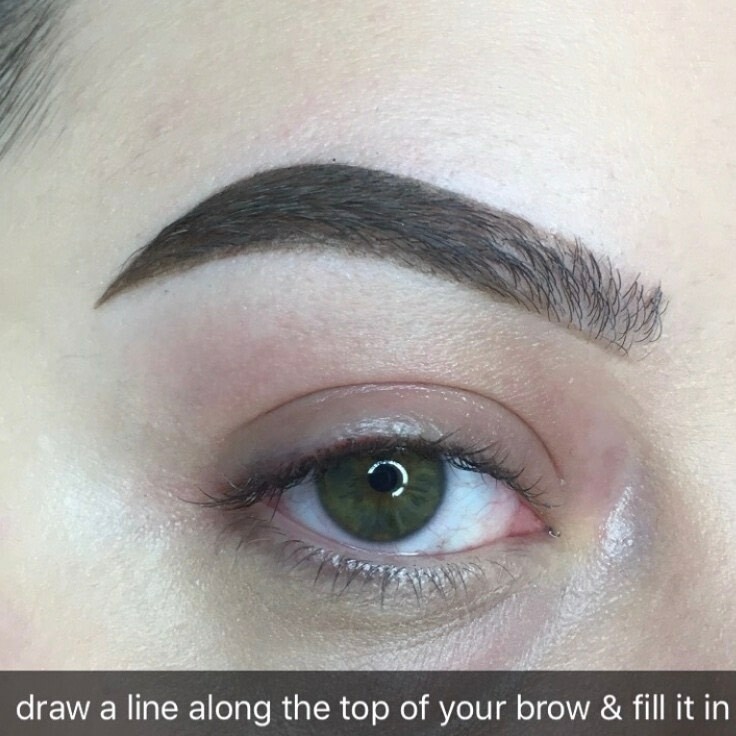 Draw a line along the top of your eyebrow and fill the area in. Add some fine hair-like strokes to the front of your eyebrow. 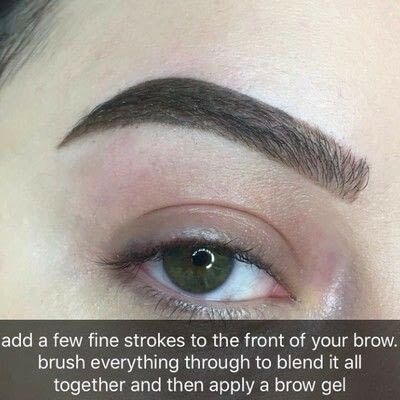 Brush through everything to blend it all together and then apply a brow gel. 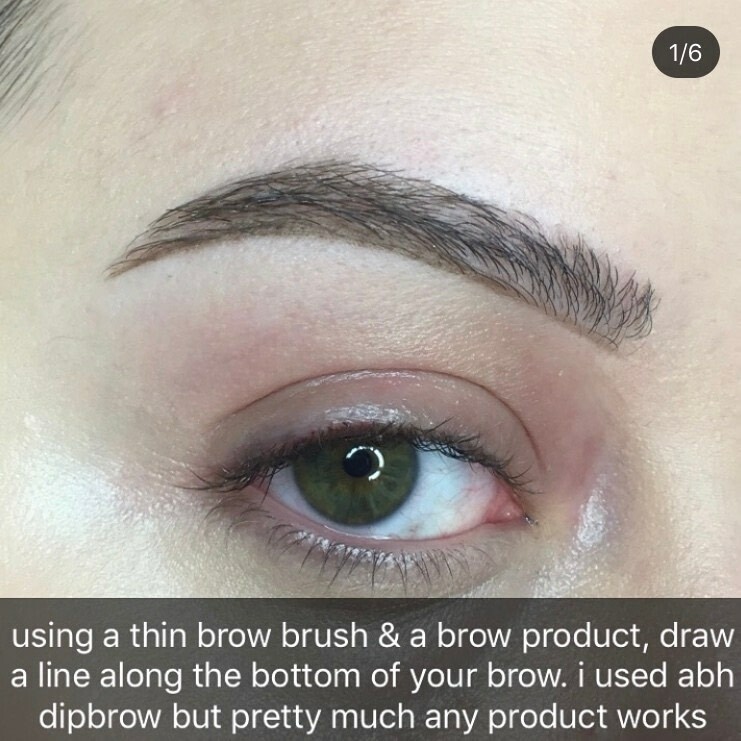 Add any additional product if necessary. 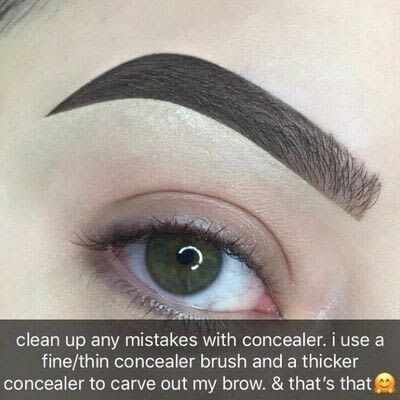 Clean up any mistakes with concealer. I like to use a thin concealer brush and thicker concealer to carve out my brow.